Night vision is no more a fantasy. It is easily possible to view clearly in the darkness of the night with the help of night vision devices. 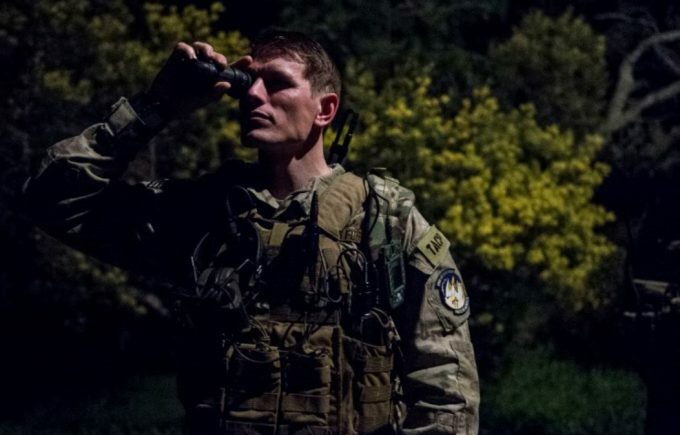 If you enjoy outdoor activities at night like hunting, hiking, or general observation, or are looking for a device for surveillance or security, you may want to make good use of a night vision device. If you have tried to shop for a night vision device, you must have been baffled by the huge price tags with which these with. No doubt, the best ones among those are the most expensive; but, you can still enjoy a lot with the cheaper among them. You may not get your hands on a military grade NVD at an affordable price; however, we will guide you how to choose the best cheap night vision device that will cater to most of your needs. We will discuss a few features that are important for night vison devices and continue to talk about a few of these devices available at an affordable price. We will discuss what customers have to say about them. The following table is a short comparison of features of the devices we will discuss in detail in this article. Before we jumpstart our discussion about the best affordable NVDs available in the market, let us first think about the most important features we need to consider before shopping for one. 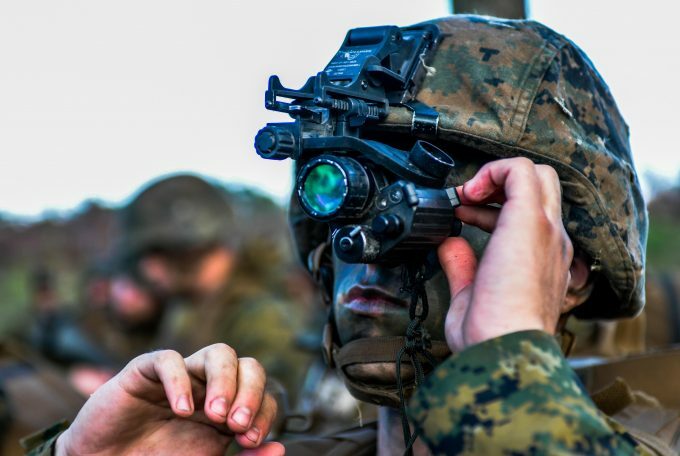 Night vision has been evolving over the years ever since it was first used in the Second World War and the Vietnam War. 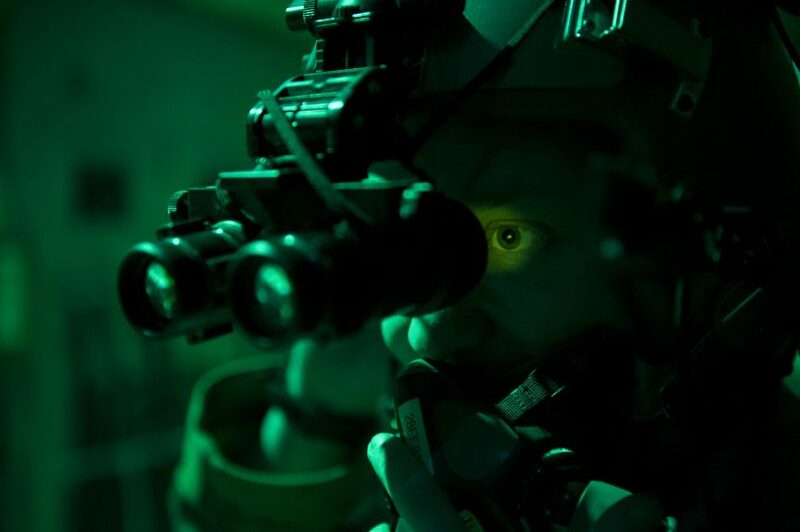 Night vision devices are classified as Generations based on the way they are constructed and work.Generation 3 devices are used solely by the Military and Government departments. Generation 2 devices are also expensive and thus are used only for professional applications and for law enforcement. Gen 2+ devices use intensifier tubes that are a slight improvement over the ones used in the Gen 2 devices. Generation 1 devices are those which were first used in the Vietnam war. Today, Gen 1 night vision devices are widely and cheaply available. Most of the affordable night vision devices are made of Gen 1 tubes. Gen 1+ devices are an improvement over Gen 1 devices. Most of the devices we will discuss are Gen 1 NVDs. Gain is a measure of the times the NVD amplifies the level of the ambient light. More gain would result in a brighter picture, that may or may not be a clearer one. Magnification alone cannot tell how good the picture would be. For example, a magnification of 8x does not necessarily mean the picture would be better compared to a magnification of 3x. A higher magnification will result in a reduction of the amount of light captured by the lens. In the dark, when night vision is used, more magnification would require more gain to result in a bright picture. Resolution, expressed as line pairs(lp) per minute, is responsible for observing the details of the images as it allows one to distinguish the shapes and contours of objects near each other. The above three factors – gain, magnification, and resolution – are interdependent. Choose your device considering the conditions in which you intend to use it. Most NVDs come with a built-in infrared illuminator, which emits an infrared light beam. This beam, invisible to the naked eye, illuminates and enables viewing in complete darkness. Most Gen 1 devices need at least a little bit of ambient light to display a picture. NVDs come in different types. Depending upon how you intend to use them and your comfort levels, choose one among the different types available. If you need them mostly for hands-free operation, night vision goggles might be your cup of tea. Similarly, you may prefer a lightweight monocular or a proper binocular. The durability of an NVD depends on the material it is made of. A device made of metal like aluminum would be much more durable compared to one that is made of plastic.Durability also depends on how much rugged use a device could take. A rubber coated body would not only provide a comfortable grip, but also would protect the device from falls and other causes of damage.Also, as night vision devices would perhaps mostly be used outdoors, weather resistance would make them more durable. Look for ones that are waterproof and fog proof. Now that we have looked at a few important features that make a good NVD, let us start with the product reviews of a few well-known NVDs at an affordable price. 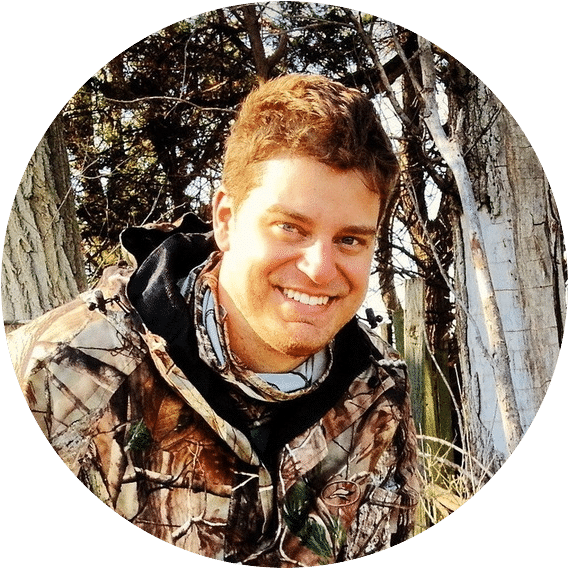 Stay with us as we discuss a few basic night vision monoculars, binoculars, and goggles, their features, and their reviews. You may succeed in finding an affordable night vision device pertaining to your needs. Best use: Suitable for the general consumer for tasks like personal and company security surveillance, camping, hunting, wildlife observation, stargazing, and other such activities. Luna Optics LN-NVM3-HR is one of the few Gen1 night vision devices released by the company. It is designed to be used comfortably when held in just one hand. It is friendly for both right handed and left handed people. The controls are easily accessible with either hand. It, however, does not have a secure hand strap. A wrist strap helps to hold it securely instead. It provides a good grip though. The device is on the heavier side, but robust. A built-in infrared illuminator on this device, when switched on, emits a beam of IR light. This light ray helps to see in complete darkness for a range of up to 100 meters. This device provides a 3x magnification. The monocular provides a 20-degree field of view. A couple of small LED indicators at the top of the device are visible to the user without a glare interfering with the view. They are also not glaringly visible to others, thus helping in concealing the user’s location. Luna Optics advertises this device as a waterproof one, which is always a welcome feature. The make of the device is strong with a metal body and a hard rubber coating. The lens is multicoated, which results in a good light transmission and thus, in sharp clear images. The lens, made up of 5-element glass, ensures a minimum distortion. One 3v Lithium battery powers the device for up to 75 hours of use without the IR and 10 hours with use of the IR. A built-in tripod mounting system facilitates easy mounting of the device. Related: If you want a monocular with more magnification, you may like the LN-NVM5-HR, which is a very similar product with 5x magnification. Consider the LN-DM5-HRV for added features like recording images and videos. 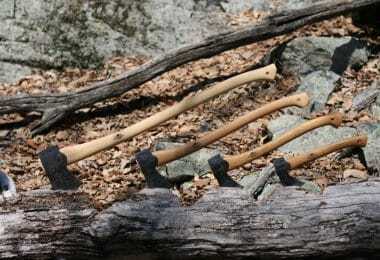 Best use: A good starting device for camping and wildlife observation. The Firefield Tracker 1×24 goggle binoculars are a pair of affordable Generation 1 night vision goggles. These have attracted mixed reviews from customers, with most saying that they work pretty well for the price but a few complaining about their quality. These binoculars can be used as handheld devices or can be flipped up to be used as a head gear accessory. The device uses a high-power infrared illuminator which enables clear viewing in total darkness. Customers have noticed better views outdoors at night using the infrared illuminator as opposed to using it with the IR switched off. Indoors, however, they have been reported to provide clear views even without the IR. The goggles are light in weight compared to most other models, and thus, are easy to carry on long distance walks. Focus for each of the lenses can be adjusted separately, making it suitable for use for people with spectacles too. These may not feel to be of a very good quality. However, for their price, they have proved to deliver. They are especially suited as a first night vision device if you are not yet ready to afford the higher end models. 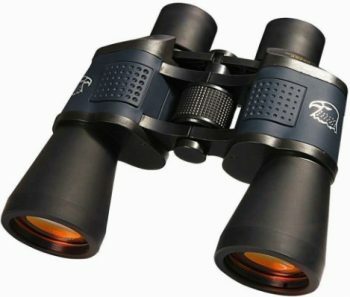 Related: If you are looking for a similar device with more magnification, try the Firefield FF25023 Tracker with a magnification of 2 x 24 or the Firefield FF25028 Tracker with a magnification of 3 x 24. If you would prefer a waterproof binocular, think of the Firefield FF25023WP. 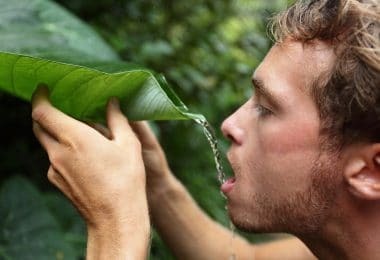 Best use: For a wide range of activities including traveling, wildlife and bird watching, camping, hunting, hiking, and others. The DAXGD Night Vision Binoculars can be used both in broad daylight and in faint night light, though not in complete darkness. The binocular uses Hd LLL Night Vision instead of IR; thus, it can’t be used in complete darkness. Customers have had success in seeing clear images with even a faint streak of light at night. They provide a whopping 8 x magnification. A bit on the heavier side, this pair of binoculars is built sturdily. They come along with a nylon case, a strap, a lens cap, an eyepiece cap, and a lens cloth. As added benefits, it is fog proof and waterproof, making it good to use in high humidity conditions and in the rain too. It uses a high quality ruby lens, which gives a clear image from a distance of up to 9800 feet. The 50 mm lens makes use of an ultra wide angle optics system, which provides a wide scope of observation. The device can be easily adjusted and used for those who wear glasses too. Comes with eyepiece cover, lens cover, etc. Related: For an even powerful magnification, see the DAXGD 10×50 Waterproof Binoculars. For a pair of compact binoculars with similar features, look at the DAXGD 10×32 Foldable Binoculars. The Bial Wide Angle is yet another affordable binocular with great clear pictures, especially at day time. This, like the DAXGD, is not designed for use in complete darkness. However, it is advertised to be able to deliver results in the presence of a little light at night. Most customers have found satisfaction with day-time use and not for night vision. The binocular has a magnification of 10x with a lens of 40 mm. The lenses can be adjusted easily. It comes with a strap to enable carrying on the neck. They also have a rubber coated body, which provides good grip, enough to be held by kids too securely. 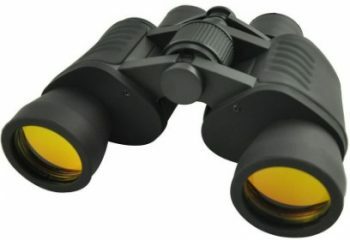 Customers have found the binocular to be made of good quality in its make and vision too. Related: If you would fancy a folding binocular, try the Bial Compact Foldable 8×21 Binocular. If you are looking for a monocular instead, see the Bial 16×52 Dual Focus Outdoor Monocular. Best use: Night vision monocular for camping, hiking; suitable for lightweight backpackers. The Firefield FF24127 Spartan is a lightweight monocular designed to be compact and easy to carry. The ergonomically designed monocular comes with a rubberized body that provides enough grip to be held securely in your palm. You can also use the provided strap and carrying case for ease of carrying in your camps. With a powerful 4x magnification, the 50 mm lens facilitates great light transmission and gathers light powerfully. The lens is multicoated, which results in a clear image. The Spartan uses an infrared beam to enable clear viewing in complete darkness. Use it with or without the IR switched on according to your requirements. Customers have experienced clear views with a wide field of view at night when the light is faint. It has a lesser field of view with the IR, though. Remember to focus both the ends properly to get a clear view. As an added benefit, the monocular is weather resistant, so you can safely use it outdoors. May be difficult to figure out how to adjust both ends for a good focus in the beginning. Related: If you would prefer a fully waterproof design in a monocular, consider the Firefield FF24122WP. If you want a monocular goggle that you can wear on your head to use it with your right eye, try the Firefield FF24125 Spartan Night Vision Monocular Goggle. Specific features: 50 mm lens, Gen1 image and resolution, IR illuminator, range of up to 100 meters, field of view of 1000 yards/m, 20 mm exit pupil, focus range min. 0.3 ft/m, image and video recording options, options to transfer files to a computer, built-in tripod mount, lightweight, powered by 4 AA batteries, includes 1GB micro SD card, a mini USB cable, AV cable, neck strap, carrying case. 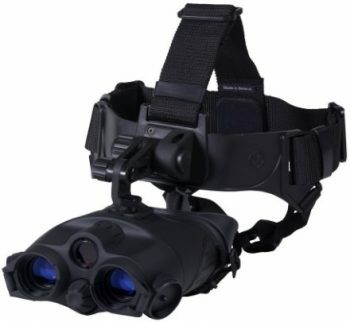 Best use: Suitable for various nighttime activities like hunting, surveillance, and wildlife or general observation. Weighing only around a pound, the Barska NVX100 is yet another lightweight monocular with additional features like image and video recording. 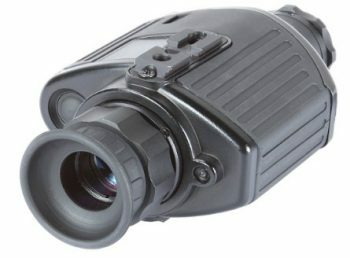 This monocular is suitable for use during various activities carried out at night including hunting, and surveillance. 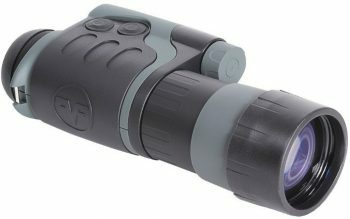 The monocular provides a magnification of up to 3x and enables clear views in the dark. Like many others discussed in this article, this monocular also comes with an IR illuminator, which facilitates viewing in the dark for up to 100 meters. The NVX100 also comes with a built-in tripod mount, which makes mounting and viewing on a tripod quite easy. The monocular has a few good features like the ability to record images and videos in it. You can view the recorded images and videos on its internal screen. It also offers the option to transfer your files to a computer and view them on your PC or television. It has a digital magnification of 2x. The device is not based on image intensifier like most night vision devices; so, it cannot be classified as one of the generations. Rather, it is like a camera with an IR illuminator and it can be used as a night vision device. For its price, this device is a good one to have and its features are enjoyable. Customers have experienced viewing sharp images at night. 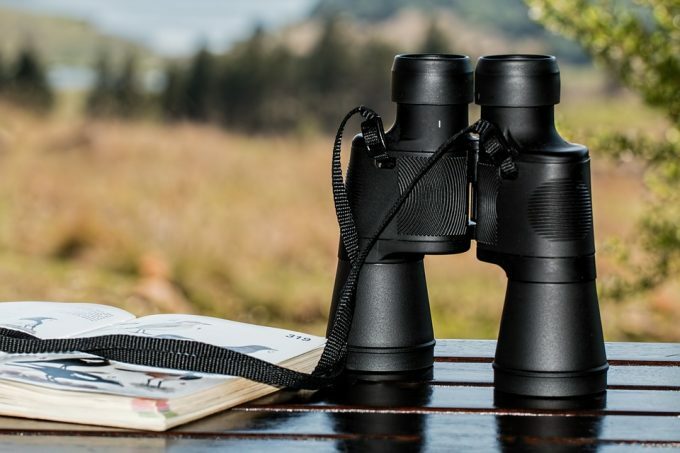 Related: Also take a look at a pair of high power binoculars by the same company – the Barska High Power Binoculars with a magnification of 10 – 30x. 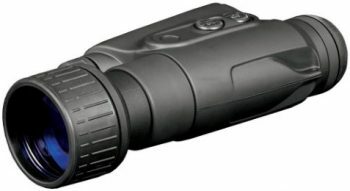 Best use: Night vision monocular for a range of activities like hunting at night, surveillance, and wildlife or general observation. The Firefield Nightfall 2, like the Firefield Spartan discussed above, is a very lightweight monocular designed to be compact and easy to carry. This has been advertised by Firefield as have been made more ergonomically designed and thus, easier to carry than other models in their NightFall category. The monocular is fitted with one of the largest objective lenses available in the market – a 50 mm lens. It is designed with a PULSE IR illuminator, which ensures that the battery is not drained when in use. With the IR illuminator switched on, you can see clearly when there is no light at all. 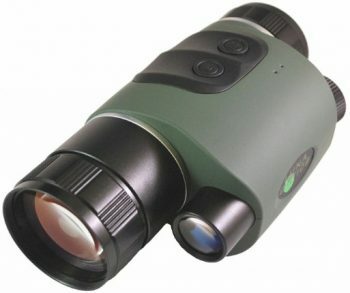 The monocular is suitable to be used at night for a wide range of activities from general observation to hunting. The rubber housing not only provides a comfortable grip in your hand, but also makes this monocular durable, quite similar to the Spartan discussed previously. 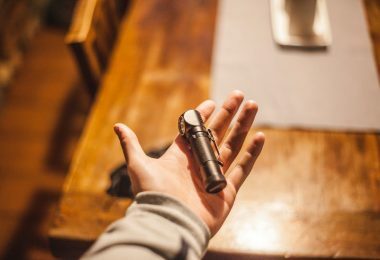 Added to all these features, this monocular is weather resistant, so you can use it without fear on the not-so-good nights too. Customers have found the monocular to be of a great value for money. They have experienced clear views for distances around 75 to 100 yards. The field of view, however, has been said by many to be a bit on the narrow side. Don’t forget to adjust both the front and the rear focal lenses to get a crisp picture. A few customers have found the resolution not very good. Related: If you would like to spend even lesser, try other Nightfall monoculars with lesser magnifications like the Firefield Nightfall 2×24 or the Firefield Nightfall 3.5×42 Night Vision Monocular. Best use: Night vision goggle for little activities at night like walking, etc. The Armasight Vega Night Vision Goggle is an extremely lightweight and compact one that has been specifically designed to be used hands-free. It can be easily mounted on the head with its adjustable strap. Customers have found the head strap to fit comfortably. The device can be mounted and used on either the left or the right eye. The goggle has a built-in IR illuminator. It uses a high-resolution Gen 1 image intensifier tube. The housing is made of a rugged construction, and being weather resistant, this can be used safely outdoors. It features all-glass optics. Most customers say the goggle can be used for gentle nighttime activities. They have found that the goggle can enable viewing up to small distances of around 25 meters. It definitely is a good one at its price. It can make a great first night vision device. 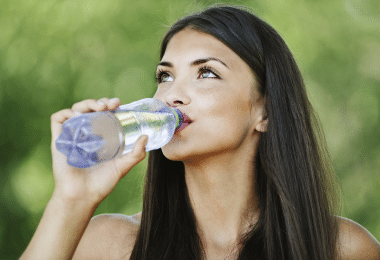 However, if you are looking for something which involves seeing long distances at night or more serious nighttime activities like shooting, you may have to look for something more powerful. Related: If you are looking for a monocular with good resolution, try the Armasight Spark Night Vision Monocular. 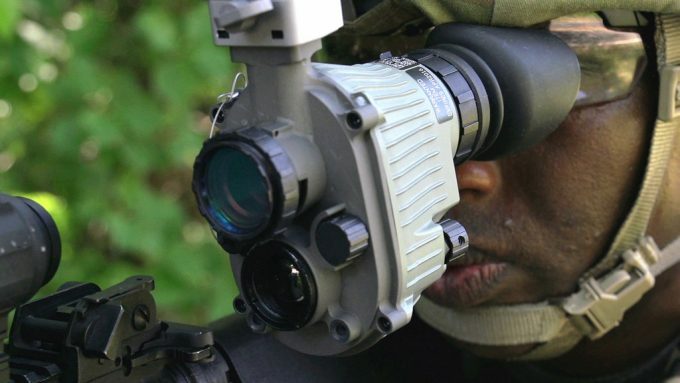 A high power goggle would be the Armasight Spark-G Night Vision Goggle with a resolution of 60 – 70 lp/mm. Ready to See Through the Night? Now that we have reached the end of our article, we hope you now have an idea about the features to look for in your next NVD. Choose a binocular or a monocular or a goggle depending on how you intend to use it. If you are looking for a durable waterproof monocular, the Luna Optics LN-NVM3-Hr is a good bet. For an affordable binocular, think of the DAXGD waterproof binocular. If you want something to use both during the day and night, the DAXGD or the Bial Wide angle view Binoculars are worth thinking about. For a hands free option, see the Firefield Tracker. 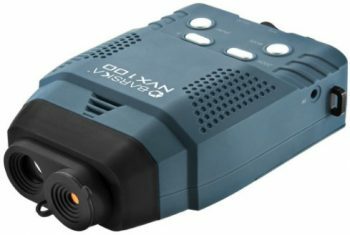 If you need to record images and videos, the Barska NVX100 is for you. Have you ever experienced using any king of night vision devices? We would love to know what you think about them. Do share in the comments!